This awesome high quality Bellies will make your girl stand out in style. 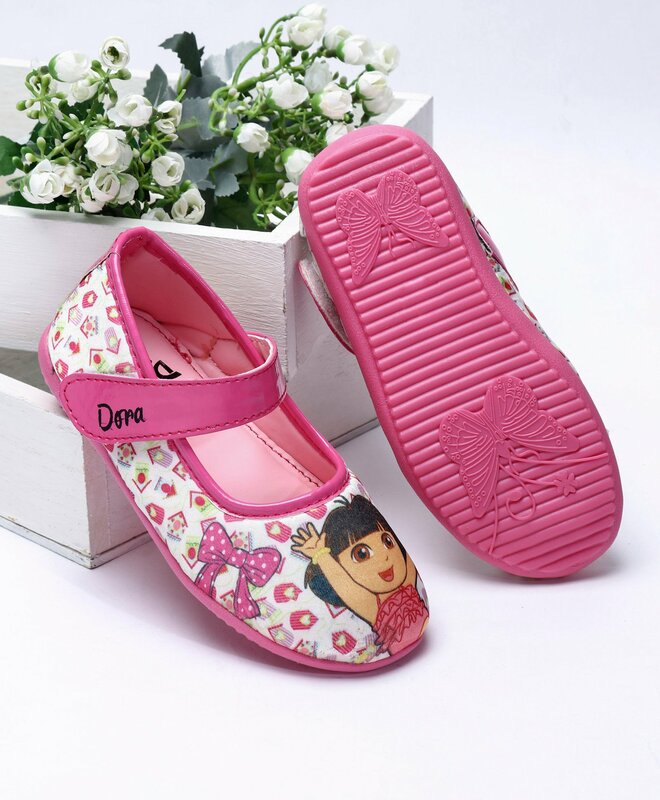 These belly shoes will look beautiful on your little fashionista. Features beautiful Dora print. Velcro strap closure ensures a comfortable and easy fit. Dora is an adventurous, bilingual, Latina heroine who lives in a house with her Mam� and Papi. Determined, positive, helpful and caring, Dora is always ready for adventure. She's filled with a sense of wonder as she explores her world with her faithful Backpack, Map and her best friend Boots.